Lacing boots, sounds simple, is simple, however there are complexities with everything. Different boots have different purposes, and we wear them differently, they fit differently but most of them do have laces. Laces can make or break a pair of boots, they can make it a pleasure to walk, or they can crucify your feet, rendering you at worst static and motionless. So, I have a few lacing techniques, and I also recommend some great laces. Mr.Lacy Hikies are a next gen approach to technical laces. They come in round or flats, and various lengths. They are reinforced with tracer technology-The line running through the laces in a different colour are extra strength, so keeps the laces from stretching/breaking. They also have toughened and shortened lace tips to keep the weight down. We all need a spare set of laces in our pack, and these seem fantastic. One thing that sets them apart is their hydrophobic coating. In a nutshell it means they won’t soak through, and mud and water will be repelled. Thus keeping the laces done up, and strong. This is a really nice idea, as I hate tying up, trodden, damp, muddy laces. I really like the packaging. They tell you what you need to know. In black and white they tell you the colour, the length, the width and the fit. The fit is particularly good as I have no idea what length is needed for what boot. This has it there for you, its a quick and an easy decision to get the correct laces for your boots. So the Hikies are a great lace, in Mr.Lacy’s range. I demand more from my laces. So, the flat lace that is shown I put through some tests. 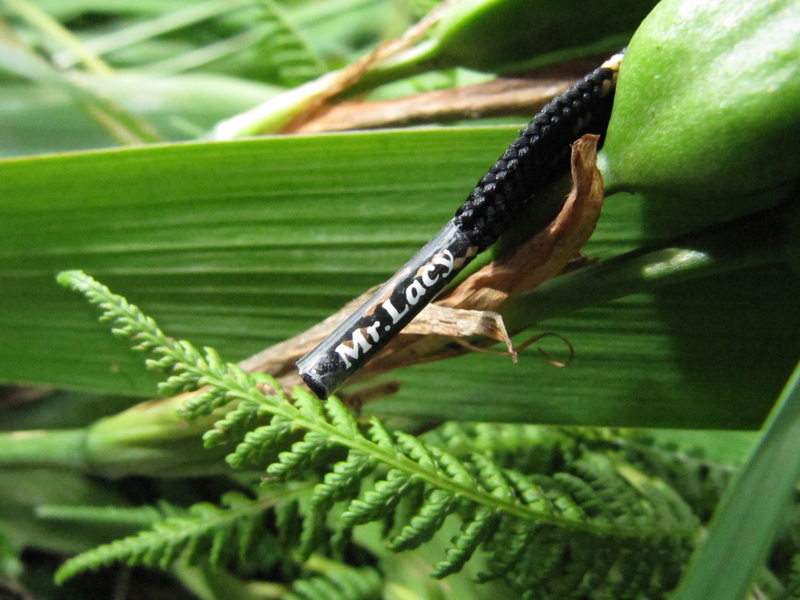 I want a strong lace, that can help with my bushcraft/survival scenarios, a lace that can do what I need it to do. 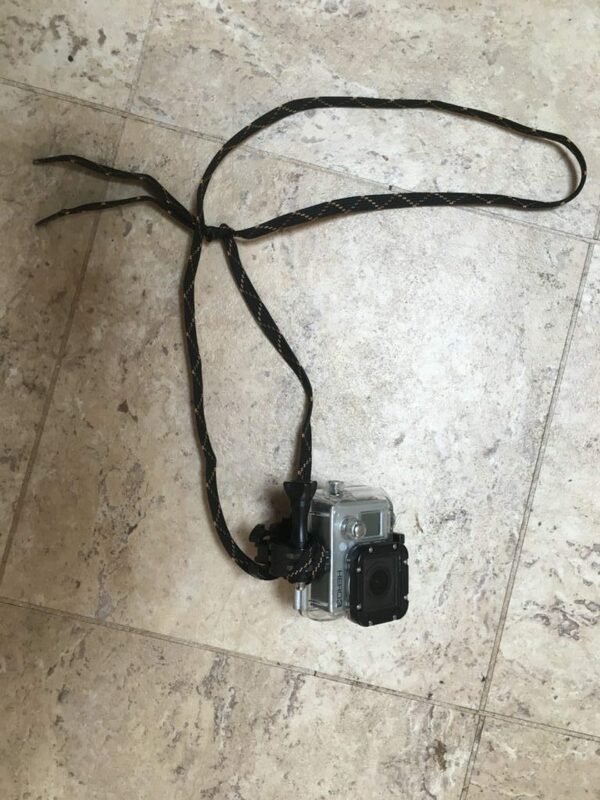 Below is the Mr.Lacy tied to my go pro, before some high jumping into some very rough seas in Cornwall. and a day out at the beach, sand, seagull poo and children all having a go..
One thing I wanted to do was see how easy it was to undo my massive knot after they had been soaked, stressed, pulled, stretched etc. They were like new, even though it was saltwater the hydrophobic coating was stunning, and they could be undone with ease, almost as if they were dry. The laces are out there, they are affordable, and they are strong. There will be an additional test soon, to see how they cope as a fire bow-drill.